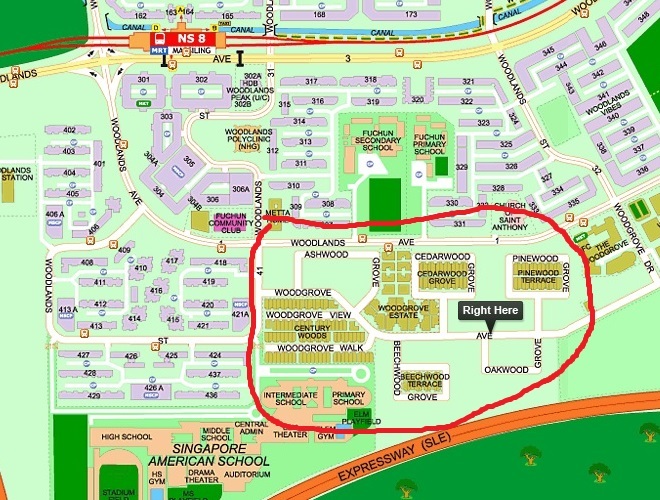 Every year on actual Halloween, 31st October, there will be a massive Trick or Treat happening in Woodlands Woodgrove neighbourhood. This is probably the only place you can truly experience a traditional Halloween Trick Or Treat in Singapore. Thousands of people (i really mean THOUSANDS) of every age from all over Singapore coming to Woodgrove estate in costume to Trick or Treat. This event is privately funded by the generous families living in the Woodgrove estate. The residents pool their money together to hire security and apply necessary permits to block off the streets so that visitors to the neighbourhood can have a maximum Trick or Treat experience. The residents in Woodgrove welcome everyone to the Trick or Treat event. 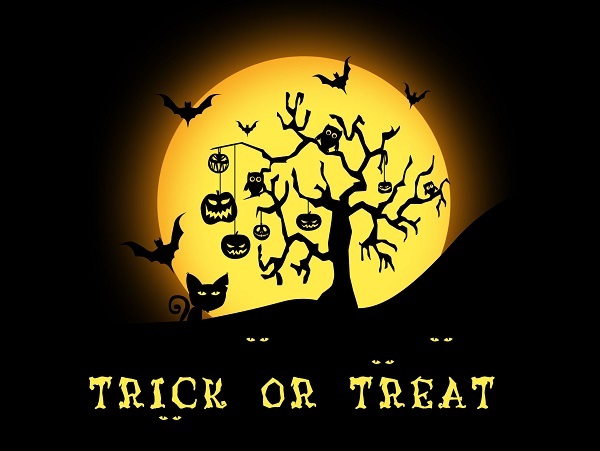 However, please be a considerate guest and be respectful to all families in the Woodgrove neightbourhood including those who are not handing out candies. Please do not TP’d their house. Woodlands families spend hundreds on candy and security for visitors to enjoy the Halloween night. If you want to show your appreciation, look out for homes marked with Caring for Cambodia drop off point signage. You can donate items to support their charity cause. Calling all paranormal fans! 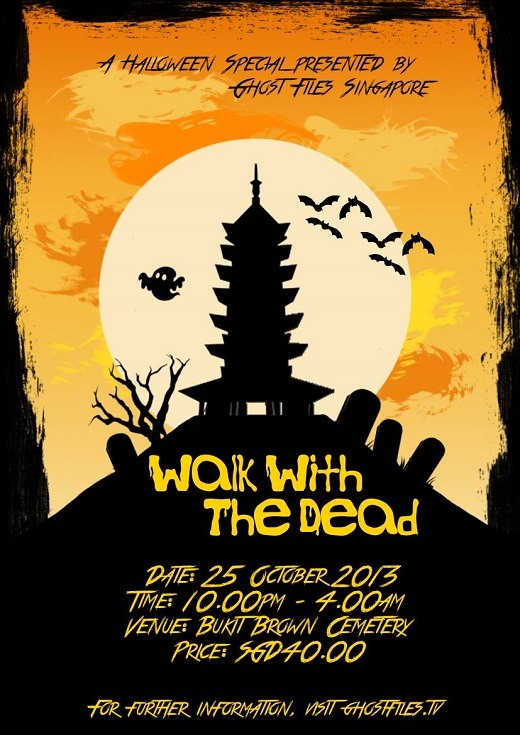 On the 25th of October 2013, Ghost Files Singapore will be organizing a Halloween tour at the historic Bukit Brown Cemetery. As seen on our show, Bukit Brown Cemetery is bustling with paranormal activity! From strange orbs to ghostly voices to apparitions caught on camera, Bukit Brown Cemetery is a must visit for any paranormal enthusiast! On this carefully planned tour by Noel Boyd, you will visit the magnificent tombs of Singapore’s greats, learn how to operate paranormal equipment and we’ll show you how to conduct an Electronic Voice Phenomena (EVP) session. The tour will end with a visit to the haunted abandoned temple. As we will be filming scenes for our bonus Halloween special episode, you can opt to be on our show! Should you be up to this ghostly challenge, we will group you with a paranormal investigator for a GFS EVP session. This amazing opportunity is guaranteed to be memorable and an experience you will remember for a lifetime! – A GFS case file with maps and information. – A bottle of water. – A Walk With The Dead certificate. * This event is limited to 40 pax so slots are limited. Please book early to avoid disappointment. For further information, visit Ghost Files Singapore facebook page. 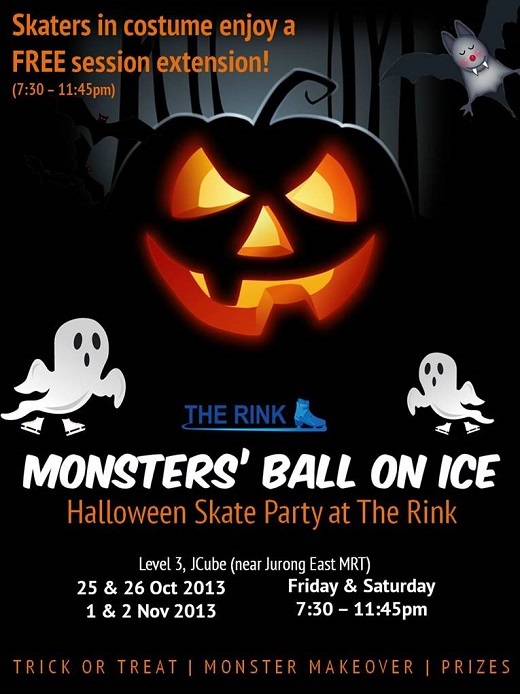 Experience the thrill and the chill of Halloween at The Rink! Come in your scariest costume and enjoy a FREE session extension (skate for 2 sessions, pay for only one). Skate in a spooky ambience, give yourself a Monster Makeover in the Room of Doom, plus prizes, tricks, and treats up for grabs. For further information, visit The Rink website. Embark on the “Tickle your brain” trail, discover science facts at the “Trick or Treat” stations or simply be entertained at the special Halloween Science Show. 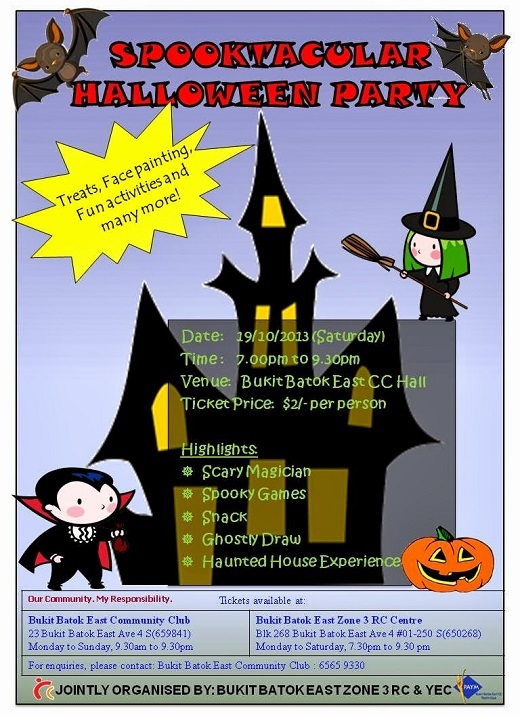 Kids will be treated to a galore of exciting Halloween programmes. Unleash your brain power with our special Halloween “Tickle Your Brain” trail. Complete the trail to redeem a gift. Hurry! Get a copy of the trail at our visitor services counter on 26-27 Oct 2013! 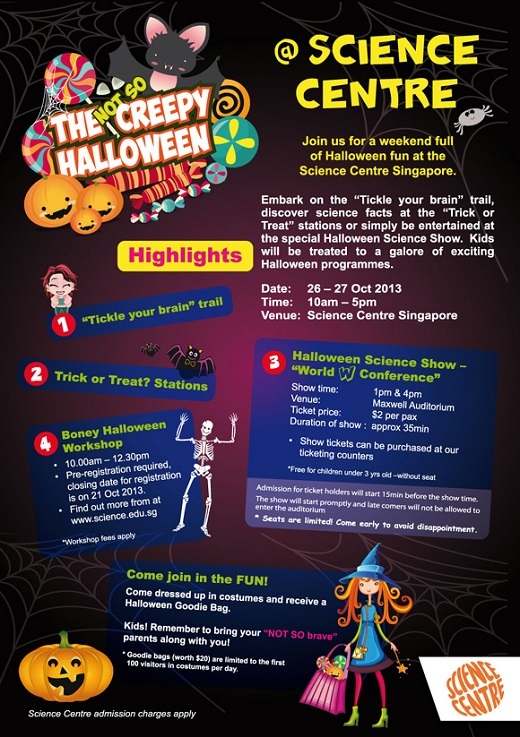 Make your way to these Trick or Treat stations located at level 2 and try the Halloween activities prepared for you. 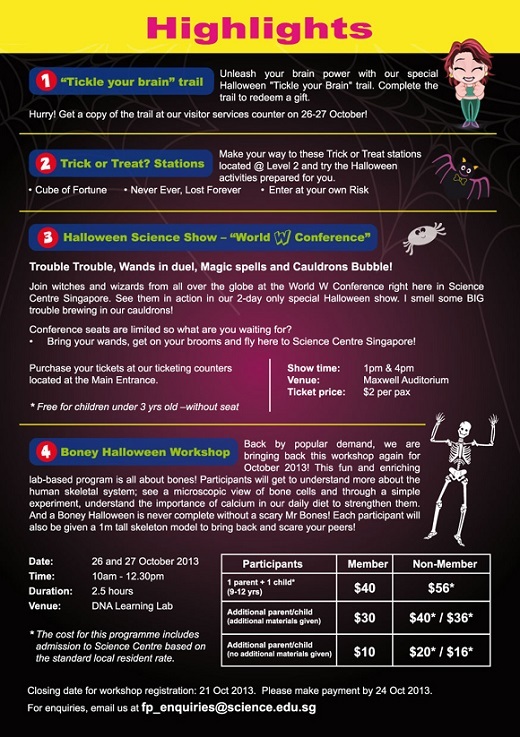 Join witches and wizards from all over the globe at the World W Conference right here in Science Centre Singapore. See them in action in our 2-day only special Halloween show. I smell some BIG trouble brewing in our cauldrons! Conference seats are limited so what are you waiting for? Bring your wands, get on your brooms and fly here to Science Centre Singapore! Back by popular demand, we are bringing back this workshop again for October 2013! This fun and enriching lab-based program is all about bones! Participants will get to understand more about the human skeletal system; see a microscopic view of bone cells and through a simple experiment, understand the importance of calcium in our daily diet to strengthen them. And a Boney Halloween is never complete without a scary Mr Bones! Each participant will also be given a 1 metre tall skeleton model to bring back and scare your peers! 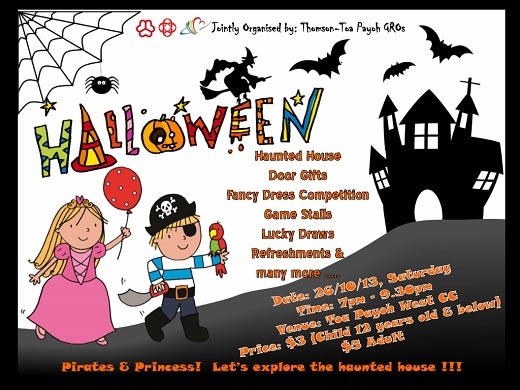 Come dressed up in costumes and receive a Halloween Goodie Bag. Kids! Remember to bring your “NOT SO brave” parents along with you! * Goodie bags are limited to the first 100 visitors in costumes per day. For further information, visit Science Centre website. Tickets can be purchase at Toa Payoh West CC. For further information and to buy event tickets, visit Facebook page. Tickets can be purchase at Bukit Batok East CC. For further information and to buy event tickets, visit Bukit Batok East. Be prepared … Scream for your life ! Tickets can be purchase at Jurong Green CC. 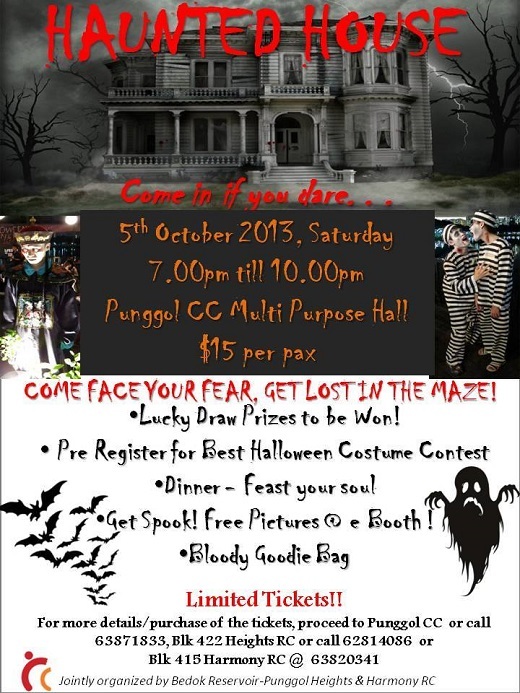 DARE you to join us at our Haunted House !! 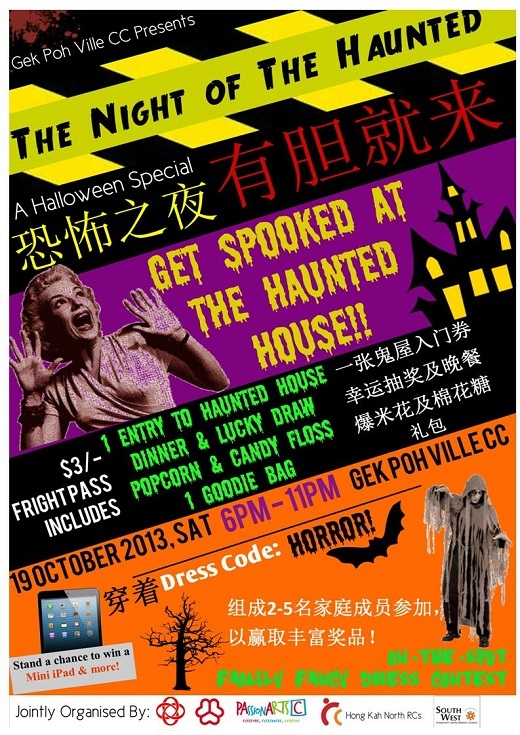 Join us this Halloween at our very first Haunted House at Pek Kio CC on 25 Oct 2013 (Friday), 7.30pm – 10.30pm. Interesting Halloween fringe activities available for you to try up! Grab a ticket now while stock last! Tickets can be purchase at Pek Kio CC. Includes free flow of popcorn and drinks. 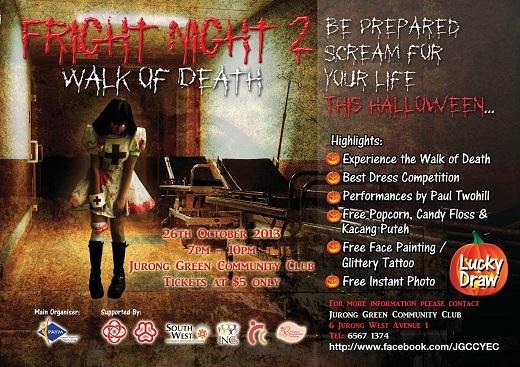 For further information, visit Golden Village Horrorthon 2013. Purchase min. 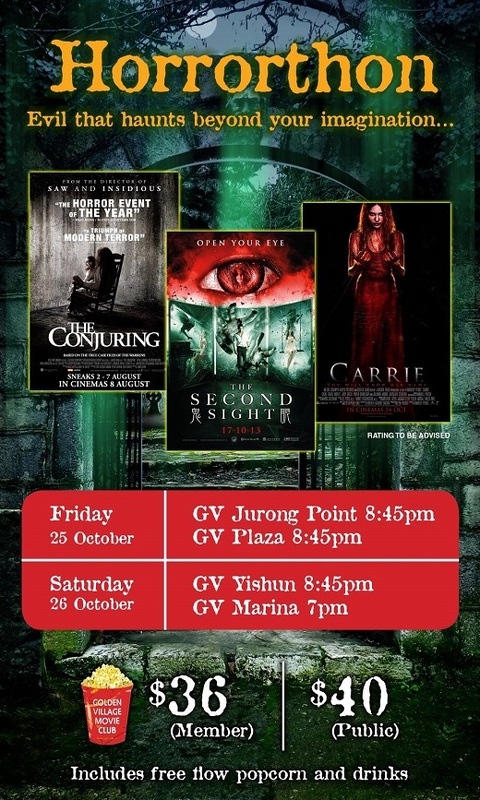 2 tickets to HORRORTHON 2013 between 3 to 9 October 2013 and stand to WIN a pair of 2013 Spooktacular Sentosa preview night tickets on 18 Oct 2013! 50 pairs to be won! Login to your membership account at GV website or present your card to be scanned before every ticket purchase! Promotion valid from 3 to 9 October 2013. For further information, visit 2013 Spooktacular preview draw. 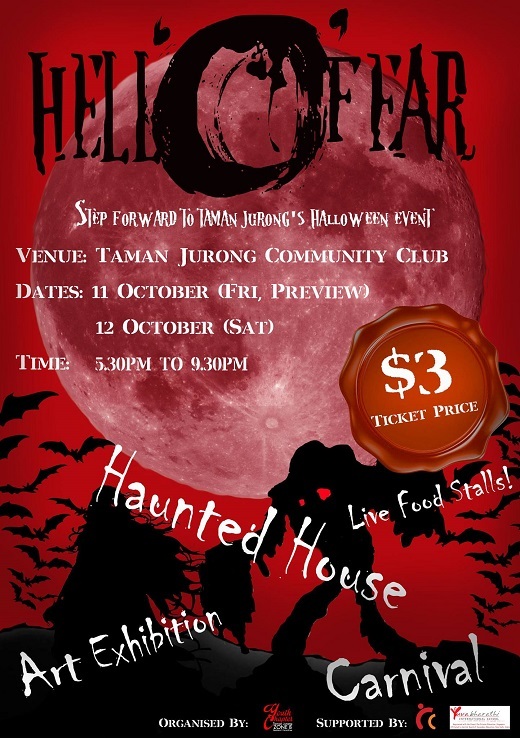 Tickets can be purchase at Taman Jurong Zone B RC (Blk 111 Ho Ching Road). For further information, visit Facebook page. Tickets can be purchase at Gek Poh Ville CC and Hong Kah North RCs 7/8/9. Come face your fear, get lost in the maze! Tickets can be purchase at Punggol CC.